If you’re not already familiar with “Behavioral Analytics,” it’s about time you got acquainted. Today’s true data-driven marketers are using it to make smarter decisions, faster than ever. Well, we’ve dedicated this massive resource to answer that question. This guide isn’t simply a gimmicky article to get you excited about behavioral analytics. (Gasp!) This is the real deal, so pay attention. As cliché as it may sound, this guide could genuinely change the way you market forever. Before we get any further, let’s make sure we’re all on the same page. What exactly is behavioral analytics? Behavioral analytics is a relatively new method of analyzing the way customers interact with brands’ websites, web and mobile applications, and more. 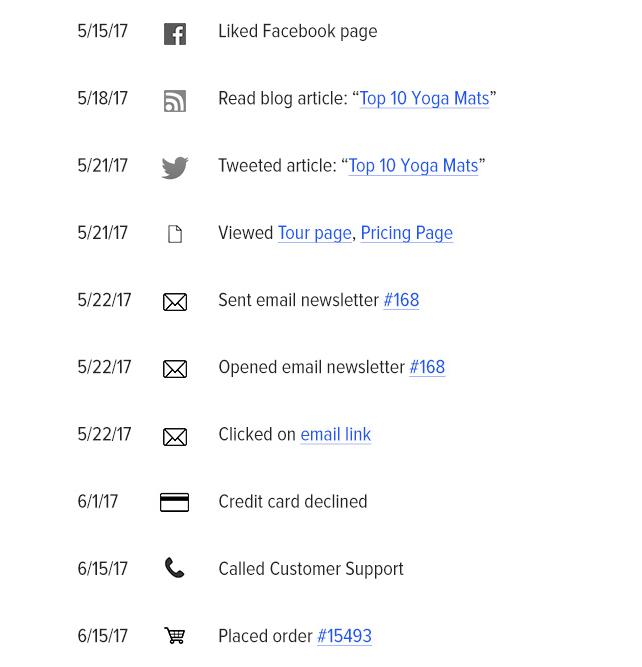 For example, the screenshot below shows the entire buyer’s journey of a customer in a single, easy to follow report. The challenge with traditional analytics is that each platform gives you a different set of data. 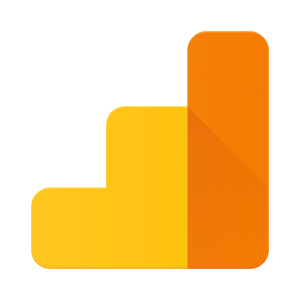 Google Analytics shows you website traffic, MailChimp shows you email open rates, and Facebook Ads shows you the performance of your advertising campaigns. When your data is fragmented among several different platforms, it’s impossible to see the entire customer journey. To truly harness the power of behavioral analytics, you need a centralized data warehouse that lets you unify all your data and cross-reference it so you can ask any question you can think of, no matter how complex. The analysis of the massive amount of raw event data being generated on such platforms provides marketers with countless new insights into the behavior of their consumers. This, in turn, allows them to conduct far more effective marketing optimizations and dramatically increases their ability to generate traffic, convert leads, and close sales. Behavioral analytics goes well beyond the realm of traditional analytics and traditional metrics, allowing marketers to ask virtually any question and received the answers they need to make important decisions in real time. Behavioral analytics is a system to help marketers better understand how and why buyers act, as well as make more accurate predictions based on that information. In short, it allows marketers to put the right offer in front of the appropriate buyer segment at the perfect time. Are you getting a little excited about behavioral analytics? You should be, but let’s keep going. Because behavioral analytics lets you track all your data in one place, it takes your ability to understand your customers to a level far beyond what’s possible with traditional analytics platforms like Google Analytics. But unifying all your data is just one of the many benefits of behavioral analytics. Ready for a few more? 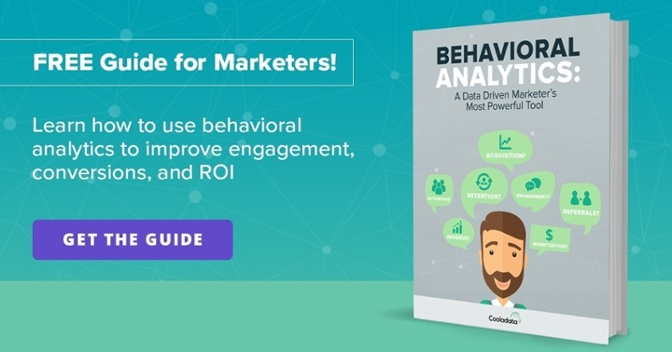 Behavioral analytics gives marketing agencies the ability to provide the next generation of analytics to their clients, and it gives in-house teams the ability to deliver results far beyond their current capabilities. Additionally, it sets them apart from “dinosaur marketers,” a term we use to (warmly) refer to those still reliant on traditional analytics. This is not only a competitive advantage but also a new service to offer your clients. After all, great marketers are always looking to provide more value to existing clients (and grow their revenue). Let’s take a look at some of the benefits of analyzing data using behavioral analytics and how to apply them to your marketing. Imagine you run an ecommerce business and decide to segment your users based on the number of reviews they read. This type of analysis would not only show you how profitable these segments are, but it would also help you personalize your product pages based on the number of reviews each segment wants to see. Because behavioral analytics lets you track all your data in one place, you can now access insights that were out of reach for you in the past. 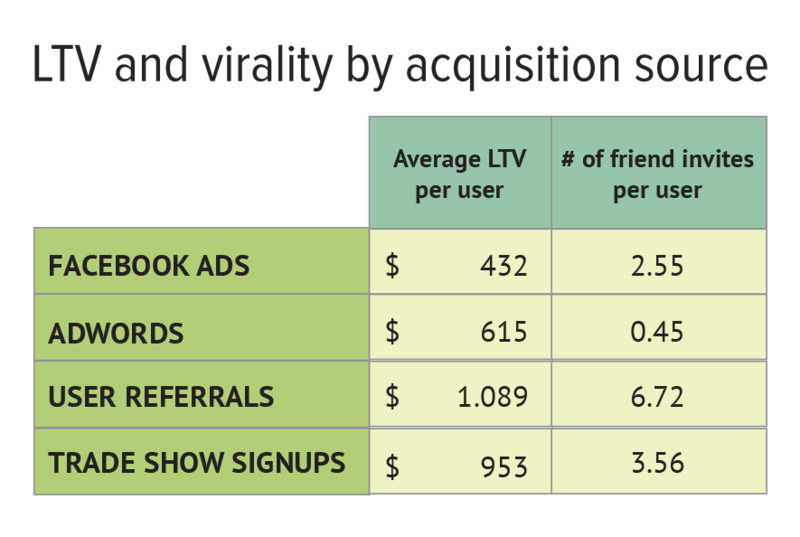 For example, by combining data from your ad campaigns (AdWords, Facebook Ads), offline data (trade show activity) and product usage data (how much users spend and how many friends they invite), you can understand the real impact of each marketing initiative: the lifetime value of the users you acquire through each campaign, and how likely these users are to invite new friends. A sophisticated behavioral analytics platform will allow you to bring in ALL of your data to analyze it under a single lens. This provides an unmatchable level of insight when it comes to analyzing the ROI of different marketing initiatives. For example, in order to determine whether trade shows represent an effective channel, you could compare the segments “met at trade show” and “didn’t meet at trade show” to measure the impact trade shows have had on sales. Traditional analytics only track web and mobile. A sophisticated behavioral data analytics platform also tracks social, email, CRM, offline, and any other data source marketers have available in the platform. Marketers don’t need to be sold on the importance of segmentation. You know that segmenting your target audience is the key to increasing the relevancy of your marketing. The problem with traditional analytics is that segmentation is based on demographics (age, gender, and location, for example) and not behavior. You can use behavioral analytics to define far more relevant segments and market more effectively based on behavioral trends, not just demographic information. For example, a 20-year-old female backpacker from New Zealand might exhibit a very similar purchasing behavior as a 44-year-old male backpacker from the U.S., despite the fact that these two people are of different genders, age, and are located in different countries. Rather than segmenting based on the information presented by traditional analytics, upgrade your ability to understand buyer behavior better and you’ll reveal new ways to segment buyers and leads. One of the most powerful ways marketers can use behavioral analytics is to start with a clear objective (e.g. increase revenue) and reverse engineer it to maximize the chances of success. For example, let’s say that Amazon wants to increase sales among backpackers. They would then isolate the backpackers segment to understand the impact that different behavioral patterns have on backpack sales. Amazon might then discover that people in this segment need to see a listing three times before buying it. They could make this happen through email marketing, retargeting, or their “recommended products” website widget. These behavioral patterns aren’t mutually exclusive and can be layered on top of each other to provide a more relevant user experience and increase sales. 1. What do backpackers who place orders have in common? How can we acquire more like them? How can we replicate the user experience they have among non-buyers? 2. What do backpackers who don’t place orders have in common? How can we reallocate marketing dollars currently spent on acquiring these visitors toward visitors who are more likely to convert? Where are they dropping out of the funnel? Are they not finding what they’re looking for after a search? Are they clicking on listings but not engaging with them? Are they adding products to their carts but then not checking out? What can we do to improve this user experience? Are there any correlations between all of our data points and non-purchasers? For example, are people not receiving our emails less likely to buy? As you can see, this type of reverse engineering can tell us a lot about the events that lead people to the desired objective, providing a data-based road map to increased efficiency and faster attainment of marketing goals. 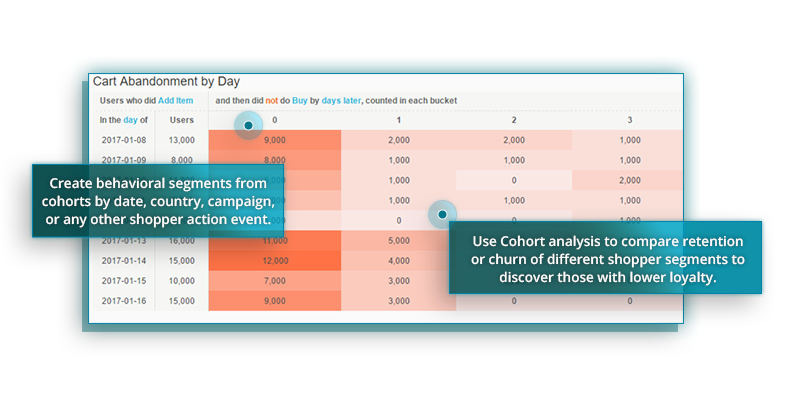 Another very valuable way marketers can analyze their data is with cohort reporting. 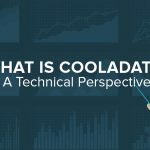 A cohort is a group of people with similar characteristics, such as people who signed up for a SaaS tool in October, or people who took advantage of an ecommerce brand’s Christmas special. A cohort report allows marketers to track and better understand these people’s behavior over a set period of time. The ecommerce brand might want to see what percentage of their Christmas shoppers placed additional orders 1, 2, 3, and 4 weeks after their initial order. They could then determine how to better deploy next year’s post-Christmas email campaigns based on that data. The SaaS company could use cohort reporting to determine what percentage of their October registrations stayed active 1, 2, 3, and 4 weeks after they created their accounts. They would be able to compare that information against that of previous/latter months to determine which acquisition channels were providing sign-ups with the lowest rate of churn to determine which to put their budget behind. You can track how these highly specific segments of your users react to your marketing actions and optimizations throughout their life cycle. Then laser focus your future optimizations around those segments’ behaviors rather than making unnecessarily broad-spectrum optimizations for your entire user base. We highly recommend this guide to anyone who wants to get serious about sophisticated data analysis. So far we’ve focused heavily on the benefits of increasing revenue through improving traffic quality and conversion rates. However, behavioral analytics can also help companies prevent churn/cancellations by identifying the behavioral patterns that precede churn. It can also aid in increasing monetization by helping to identify the people that are likely to make in-app purchases/click on ads (and getting more of them) and increasing the relevance of the offers/ads that brands put in front of them. For example, if you noticed that your SaaS customers who churned all shared a common behavioral trait—say, logging in less than 1 time per week for 4 weeks before they churned—you’d be able to work to increase user engagement in segments where logins were dropping off. The more you understand what causes churn, the more you’ll be able to use the marketing tools at your disposal to reduce it. 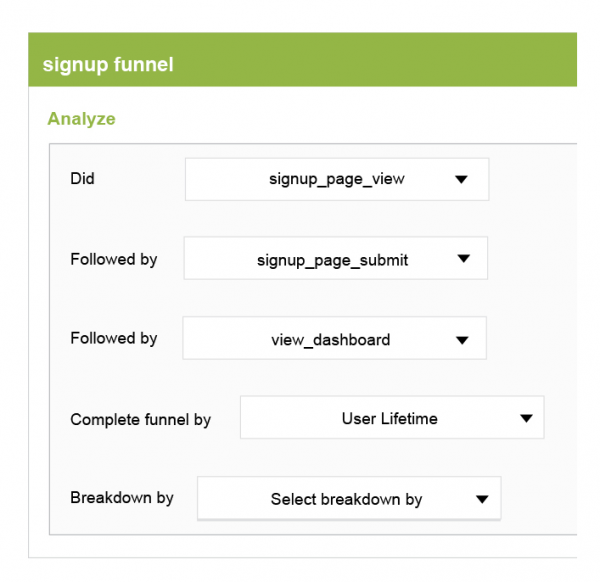 In the example above, you may have found that increasing email contact with low-performing segments helped to increase logins, therefore reducing churn. Without the ability to determine what commonalities were shared by churning customers you’d have a much harder time deciding what tactics to use to keep them around. Marketing teams often spend an inordinate amount of time manually creating spreadsheets and patching all this data together. Not only is this a waste of time, but it also prevents marketers from making good decisions due to the lack of real-time data. If every time they need to make a decision they need to spend hours reconciling data from multiple sources, they can’t call themselves data-driven marketers. 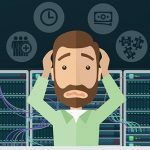 This isn’t only very time-consuming, but wrangling data manually is extremely error-prone, and if marketers can’t trust their data, they can’t trust they’re making the right decisions. Another problem that arises when working with fragmented data is that marketers end up tracking sessions and not people. 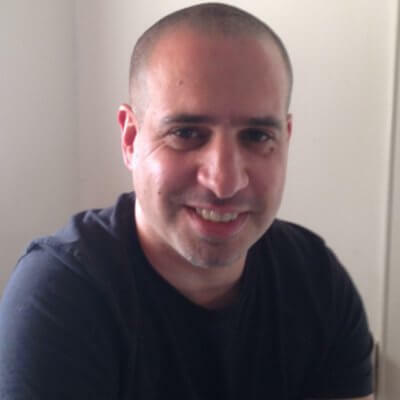 For example, if a person is booking a vacation on Kayak.com using his computer to search for hotels and his iPad to search for flights, these will be considered two separate sessions with traditional analytics. On the other hand, behavioral analytics would allow you to identify this as one user experience and could help Kayak.com understand how people use their service across multiple devices, and improve their UX as a result. 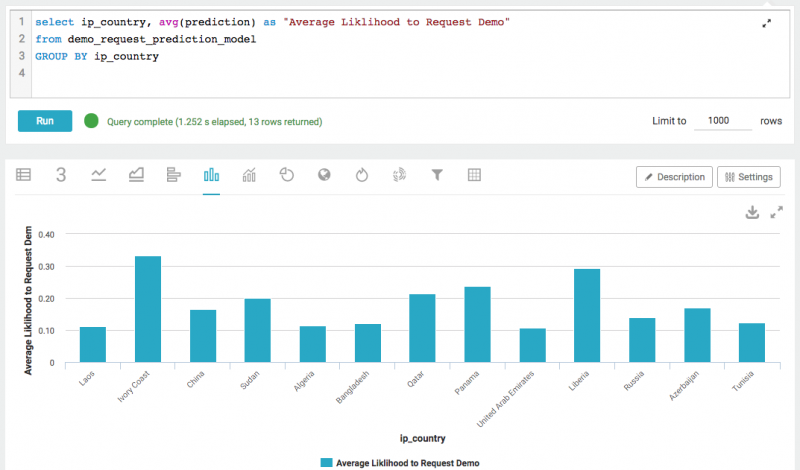 Behavioral analytics allows you to view all of your data from a single platform. This way you can make better-informed marketing decisions based on the combined information from your various channels. With a sophisticated behavioral analytics platform, you can merge revenue data (from ecommerce, affiliate networks or Google Analytics) and cost data (from Google AdWords, Facebook Ads, any other ad platforms or data source). This means marketers can finally see, in real time, the ROI of all their marketing initiatives. 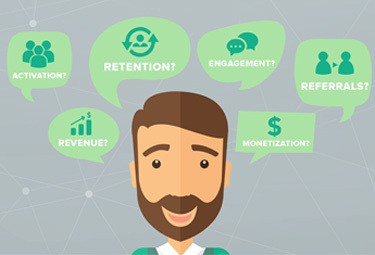 They can see their KPIs (cost, revenue, CPA, ROI, clicks, CPC, conversions/sales, conversion rate, impressions, CTR, average revenue per sale/conversion, etc.) at any level they want: per channel, campaign, ad group, offer, call-to-action, keyword, etc. 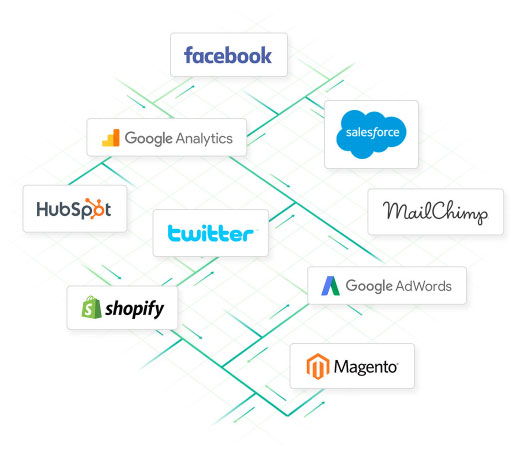 Sure, the ability to compare multiple channels/platforms (such as trade shows vs. AdWords search vs. Facebook ads) automatically, in real-time and in one place, is unique to Cooladata, but it represents the perfect example of what is possible with a sophisticated behavioral analysis tool at your disposal. With this type of tool, marketers can track, test, and analyze anything they want: offers, calls to action, market segments, ad creatives, etc. For example, a marketer might want to test two offers: 10% off vs. buy 2 get 1 free. Behavioral analytics makes it very easy to test this across multiple platforms (CPC vs. content), platforms (AdWords vs. Facebook), campaign types (search vs. social vs. display vs. manual placements). This would allow the marketer to better understand whether one offer works better than the other one across the board, or if one works better than the other one in a specific channel/campaign/etc. As you know, marketers need to be able to demonstrate the ROI of their marketing campaigns, whether it’s to clients or internally to their executive teams. Behavioral analysis not only makes it easy for them to understand their ROI in real time, but can also show them what’s working and what isn’t at a level of detail they’ve never seen before. This old marketing adage is as true today as it was 50 years ago. Although analytics tools have come a long way since then, it’s also true that marketing has become exponentially more complex (multiple channels, multiple devices, more competition for people’s attention). Traditional analytics lets marketers track ROI by campaign, ad group, landing page, and demographics (age, location, etc. ), but not by behavior. Behavioral segmentation can show us that Group A tends to buy items on sale and Group B tends to buy based on friend’s recommendations. As you can imagine, this makes it much easier to show the right messages to the right people at the right time. Behavioral analytics lets marketers drill down into their data as much as they want. After they break down people into groups, they can continue segmenting these groups even further by additional properties, events, and behavior. For example, the group that buys based on friend’s recommendations could be broken down into people who read 1-5 reviews vs. 6-10 reviews, or people who read the first few reviews vs. people who tend to read 1-star (negative) reviews to find out why others don’t like a product. The possibilities are endless for the curious marketer who truly wants to understand their customers on a deeper level. The data is all there, ready to be sliced and diced and analyzed. A sophisticated behavioral analytics tool (not unlike our own) tracks every single event from every device and every source and shows marketers the entire journey for each one of their customers. Marketers that have their data fragmented in silos can’t really see the entire customer journey. When you only look at Google Analytics, for example, you can see VISITS from CRM and email, but you can’t see what people specifically DID (interactions they had with your salespeople, email links they clicked on). Behavioral analytics allows you to see your entire data spectrum at once. Make better-informed marketing decisions based on more relevant information and a complete view of your buyer’s journey. ACQUISITION – What marketing channels provide the highest ROI? 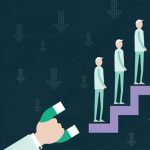 RETENTION – How can I reduce churn? What behavioral patterns precede churn? ENGAGEMENT – When is the most effective time to show visitors a call-to-action? REFERRAL – What website elements encourage sharing content on social media? ACTIVATION – What do customers who upgrade have in common? REVENUE – How does the new checkout form affect our revenue? MONETIZATION – Who are the users most likely to make in-app purchases? CONVERSION – Is the secondary call-to-action decreasing our conversion rate? Who are the customers who have churned in the last 12 months? Once you see the initial list, you would work to better understand their behavioral patterns on a deeper level. For example, you could break the list into people who contacted customer support vs. those who didn’t, giving you the ability to ask more specific questions. If the churn rate is higher for those who didn’t call, maybe I need to make it easier for a customer to call us when they have an issue. If the churn rate is higher for those who called, how can I improve the level of customer support to avoid cancellations? Once you had those questions answered, you could begin to analyze their behavioral data even further and analyze the patterns that emerged. 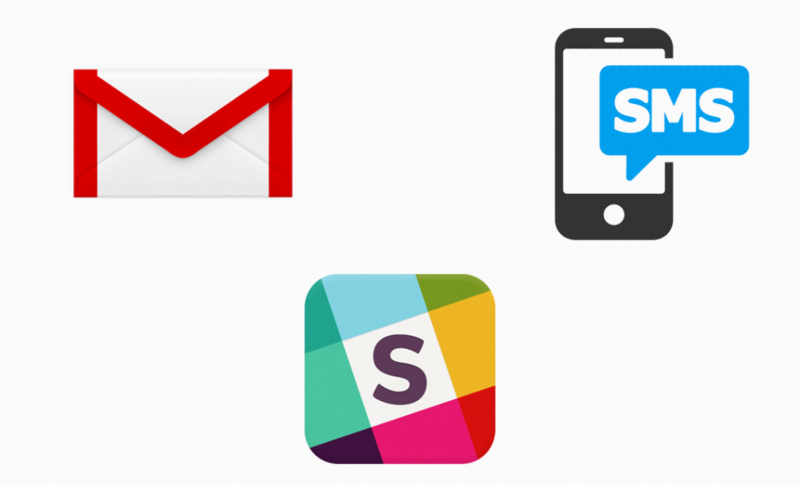 What are the usage patterns that preceded churn? If I see that people who uploaded their company logo are much less likely to churn, maybe I need to prioritize this early in the process to increase engagement/retention. If I see that not logging in for 5 days in a row in the first month is highly correlated with churn, how can I use email marketing or change my UX to get them to log in more often in the first month? Traditional analytics shows us WHAT happens, whereas behavioral analytics shows us WHY it happens by drawing correlations between events (what people do) and the outcomes we expect (sales, conversions, user retention). Reporting is one of those things marketers wish they didn’t have to spend so much time on, and now they don’t. 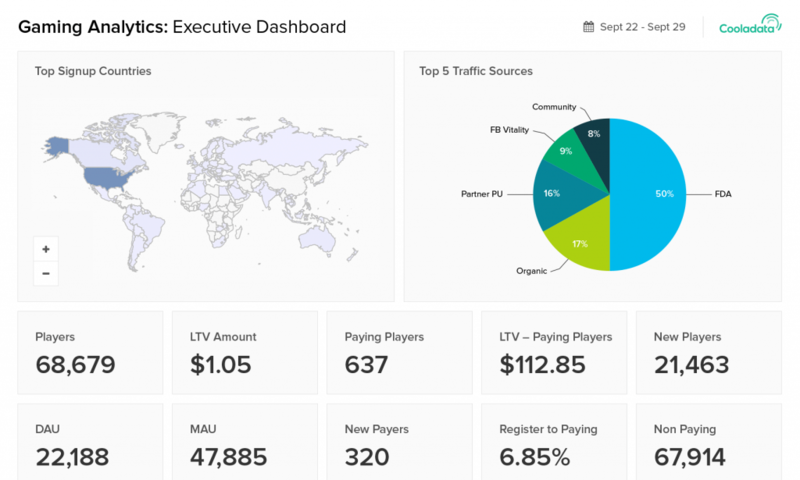 While custom reporting isn’t exactly new tech, sophisticated behavioral analytics tools let marketers create complete custom dashboards for their clients and/or internal teams. Every team/client cares about something different. They all want to see different reports and care about different metrics. Create custom dashboards for relevant team members/departments, so they have quick access to the data that’s important to them. For example, create a dashboard for your CEO with the high-level KPIs they care about while creating another for your sales teams that lists new leads and their activity (what pages they saw, links they clicked, emails they opened). This custom reporting allows you to put the right information in front of the right people at the right time. Just the things that are important to them, nothing more, nothing less. Use behavioral analytics to move beyond traditional reporting and give your stakeholders exactly what they’re looking for, automatically, and you’ll look like a hero to your superiors/clients. Champion this important new initiative for your company by connecting people with the data they need to improve business results drastically. We’ve given you a lot of information to consume in this guide, and we hope we’ve lit a fire under you. A fire that will drive you to push beyond the limitations of your current analytics platform in pursuit of a higher level of marketing. The best marketers in the world are using behavioral analytics to optimize their every marketing action. It’s up to you to join their ranks. Take this opportunity to equip your team with the insights they need to deliver exceptional results. Give them the tools that will help them to do what they do best, more efficiently and more effectively than ever. Ready to learn more about what behavioral analytics can do for you? 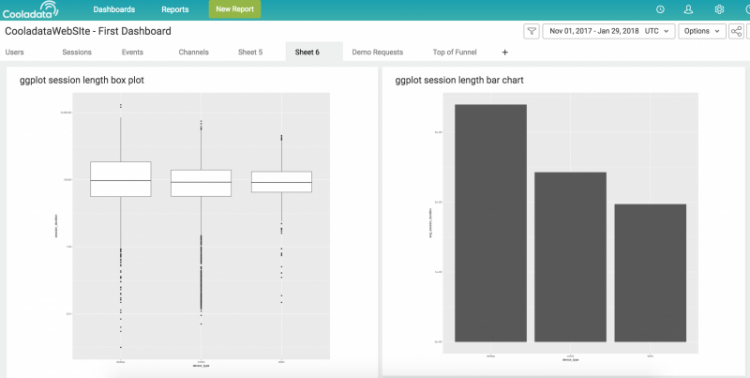 Schedule a demo with one of our data scientists. You’ll see firsthand just how easy it is to change the way you market forever.